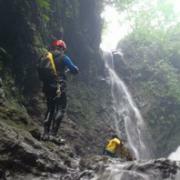 Bali Discovery Tours now offers canyon tours around Bali’s spectacular mountains and waterfalls. These fun and challenging adventure tours include all climbing equipment, lunch, and a professional guide. Rates start from USD110 per person for a full-day tour and adrenaline junkies can save 10% by booking online. A minimum of 2 participants are required. Quoted prices are accurate until March 31, 2011. A variety of canyon tours are available and suit all skill levels from beginners to experienced climbers. Participants will enjoy an exhilarating day of trekking, climbing, abseiling, jumping, and swimming in waterfalls. Fees include transportation from Ubud to the canyon base point, wetsuit, climbing shoes, helmet, harness and climbing gear, lunch and drinking water, a trained guide, and insurance. 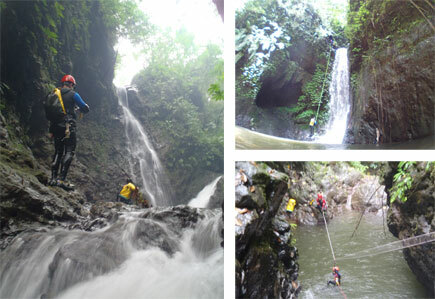 For more information about canyon tours visit the Bali Discovery Tours website at http://www.balidiscovery.com. Tours can be booked by completing the online form, calling (62) 361 286 283, or emailing info@balidiscovery.com.